Turkey proceeds to further rise in pollution fines As from 1 January 2019 to 31 December 2020, new pollution fine tariffs are entering into effect in Turkey, West of England proceeds to an update concerning new pollution fines in the country. According to correspondents Metropole Maritime, the level of fines has been increased yet again by 23.73% over and above the increases already levied in December 2018. In addition, the level of fines for legal entities is higher than those against persons so shipowners will be exposed to the highest levels of fine in Turkey. 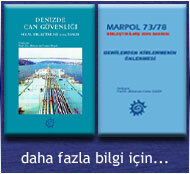 Yet, there are various ways to prevent or even avoid the Turkish pollution fines, according to the London P&I Club. In conclusion, the Turkish tariffs focus on petrol and petroleum products discharged to sea by tankers, petrol/petroleum products and dirty ballast discharged to sea by vessels or any other sea vehicles and garbage and sewage discharged to sea by vessels and any other sea vehicles.